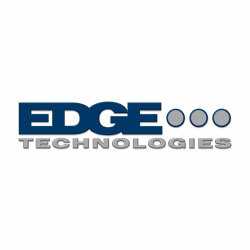 Edge Technologies works hard to offer the highest quality products available. 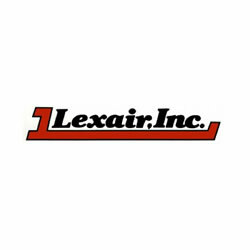 Quality parts and craftsmanship keep your machine running longer and more efficient. An extensive family of bar feeding solutions including Swiss, Sliding, or Fixed headstock CNC lathes can handle diameters ranging from .08mm – 100mm. 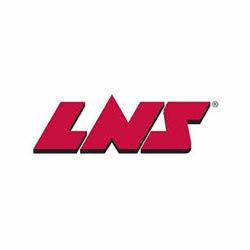 Lathe Spindle Loaders and Multispindle Stockreel Loaders range up to 100mm. German based FMB Machinery produced the first modern day automatic magazine bar feeders back in the late 1970’s and have never looked back as the global industry leader. Their equipment’s legendary reputation for excellence in design, construction, and performance are well known in the European and U.S production bar working segments. Only one bar feeder deserves the nickname “Heavy Metal” and it’s the FMB Turbo Series which offers a premium lineup of nine distinct models that cover diameter requirements from 0.8mm (.031”) to 102mm (4”) and bar length requirements from standard 6 and 12-foot models to factory-order 40-foot units. Bar feeds for bar stock diameters from .039” to 4-3/4” with fast changeovers in as little as 1 minute. Patented hydrostatic bar support and other advanced technologies allow optimum spindle speeds without sacrificing accuracy. 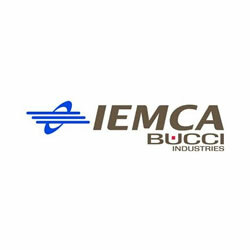 Iemca, certified ISO 9001:2000 in 2004, has designed and produced automatic bar feeders for single-spindle and multispindle lathes since being established in 1961, emerging as one of the world’s leading names in the industry. The range of our products is the widest on the market, and includes Gantry loaders, stand alone material loading solutions, suitable for a wide range of machine tools. Rhinobar® systems are designed for use with all types of CNC lathes and are ideal for dedicated production jobs. 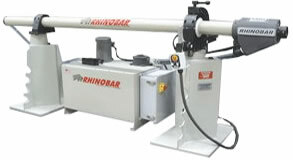 The Rhinobar® operates on the hydrodynamic principle of supporting the bar stock in an oil bath. Oil fills the gap between the bar stock and feed tube and as the bar begins to turn, hydrodynamic forces move it toward center of the feed tube. Centering forces are amplified as bar speed increases. Feed tubes are available in graduated sizes to minimize the bar to feed tube clearance In order to achieve maximum operating speeds.